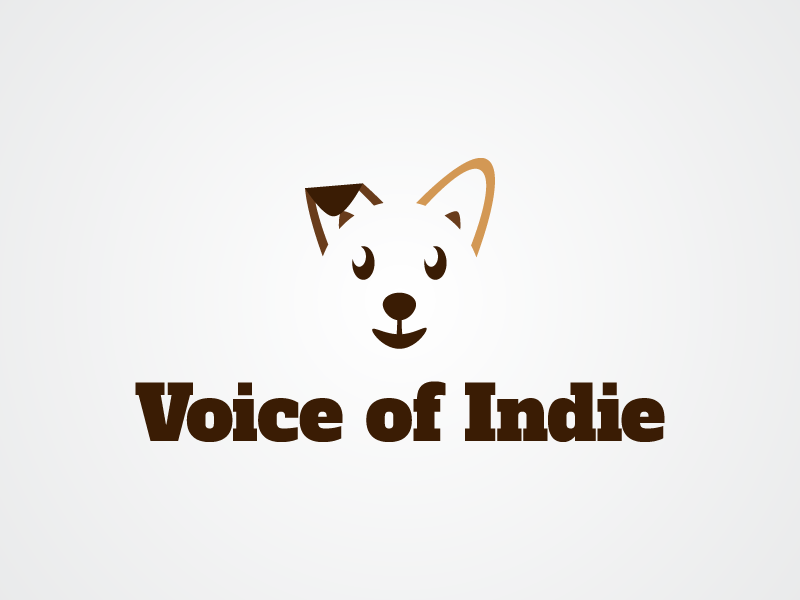 August | 2016 | The Indie Spot! A Rose of A Writer! A few years ago I stumbled upon an indie novel that so entertained me, I became an instant fan of the author. Sienna Rose has since published three more novels. The second and third are science fiction stories. Truthfully, I have never really been a big science fiction reader. But I read her books, and they shine. It’s her most recent book that has me sitting here, in front of my computer, seeking to share this gem of a writer with you, my readers. So let me introduce to you the author of Sparrow in the Wind. This is Sienna Rose! In second grade. I remember what it was like to hear Robert Frost’s Stopping by Woods on a Snowy Evening, and Robert Louis Stevenson’s The Swing. I loved the rhyme and the imagery. I could just see the “cattle and all”. Because of those elements, I found I could quickly memorize the poetry and keep them with me. I was so inspired that one day while I was supposed to be doing math (which I can’t do, due to learning disabilities) I wrote a long poem with similar rhyme and meter. When I proudly showed it to the teacher, she found it so sophisticated that she accused me of plagiarism and demanded to see “the book I stole that from.” Of course, there was no book. She then told me I wasn’t supposed to write poems, because I needed to spend my time on learning math; I never wrote again until it was assigned in grade six. Teachers, don’t ever do that. I still can’t do arithmetic and I would have spent the time better writing. I think that early lesson (more like trauma) warped my future. If I hadn’t been so worried about finding a regular job, I definitely would have become an English major and gone on to an M.F.A., instead of a psychology Major and then an M.Ed. I didn’t start my first novel until age fifty, after the degrees I took led me to jobs I didn’t like and wasn’t really suited for. At least two years, often sitting 8-9 hours per day. The most important part is getting every phrase, every single word “right” in the first chapter. The rest won’t flow until that’s done. Once a story comes to life, I am immersed in the writing and can’t think of much else. I admire people who can do more than one thing at a time, like work a day job and write. I do student advocacy, but when I have a case, the writing gets put aside until it’s resolved. I really have a one tract mind. Your characters are quite vivid and believable. What goes into your creative process when developing characters? Thank you, Beem. When I wrote my first novel (Bridge Ices Before Road), I heard vague whispers from two characters that became Frances and Maddie. They were in an embryonic state in some closet in my mind, waiting to come out. I didn’t know much about who they were until I started at the keyboard. As soon as I got Frances right, Maddie burst forth and took over. She wrote herself into the world—told me her story and the details of each of her family members. Sometimes my fingers could barely keep up with her demands. I began to dream about the characters. I would walk the dog or take day to go kayaking (very important to care for the body if you want your mind to create) and I’d be dialoguing out loud without realizing it until I saw someone staring. Where do you find these ideas that become the basis for your books? The idea for the plot is very loose. The real story begins with a solid character or two, and the rest just flows. I don’t know what will happen until they tell me. The mysterious process of character development and the story that flows from them once they turn real to me. What does your writing process look like? Do you outline, or do you write as the story comes to you? I’ve pretty much answered that. I never outline—it would halt my creative process. If you could write any book in history, which would you like to have created? I can’t imagine wishing to have created another author’s work. If you could cast your characters in the Hollywood adaptation of Sparrow in the Wind, who would play your characters? I picture Gudrun as a forty-something Liv Ulman; of course she’s much older now, but I can’t think of anyone else. George Parsons is definitely a young Jimmy Stewart. Since they aren’t available, I don’t know who I’d cast. When the time comes, I’ll let the film industry decide for me. How important are names to you in your books? Do you choose the names based on liking the way it sounds or the meaning? Do you have any name-choosing resources on which you rely? Names are important, some more than others. The idea of the Sparrow in the Wind as an Indian name came to me out of the blue. It began with the story of the half Ojibwa girl and how she got her name. Cassandra was coming to life at the same time. I knew that they had to meet and have a life together, so I built the story around them. Once again, they told me the details. I was just as surprised at some of the things they did as any reader might be. Is there a certain type of scene that’s harder for you to write than others? Love? Action? Racy? So far I haven’t noticed. The characters seem to do all the work. Don’t write in hopes of getting published or of even getting widely read if you do publish. Write because you have a story waiting to be born. You know it when you feel it. I’m sorry to disappoint you, Beem, but I’m working on another science fiction book. Three characters materialized in my mind. One is a being from Mars that was stuck in stasis nearly 4 billion years, after the last Martians launched him on a quest to locate a new world since Mars was dying. The other is an eccentric, rich, science geek who befriends him and the third is the woman who falls in love with him. This stirs up controversy because the Martian is of an aquatic race and not at all humanoid. I am having a wonderful time in my own little world writing this story, which brings me to the best advice I have for aspiring authors. If the work is a genuine creative expression that makes you feel—whether you’re laughing, crying, angry or anxious—then that’s all that matters. Having said that, I wouldn’t be above contriving a commercial success (under a pseudonym). If I could only think one up. Funny how memories work, the things you remember, the things forgotten, the things that change you. Back in the summer of 1962, ten year-old Cassandra Parsons has her life all figured out. She lives with her father and mother in the upstairs flat of a well-appointed two family house in a pleasant neighborhood of Racine, Wisconsin. Her maternal aunt and grandfather live right downstairs and her best friend Kitty has always lived two doors down. Cassandra’s well-ordered world comes undone when her father decides to move his nuclear family to the backwoods of Northern Wisconsin, to renovate and manage his father’s hunting lodge. Isolated and friendless, she is suddenly left to her own devices as her parents plunge themselves into their new business endeavor. Loneliness and self-pity gradually give way to growth as Cassandra learns to appreciate the beauty of nature and the peace of quietude. Soon she meets a half-Ojibwa girl named Sparrow. The girls become fast friends and have a final fling with childhood, spending their last carefree days fishing in the river and roaming the woods, pretending to be ancient Ojibwa. But their sweet Indian summer comes to an abrupt end as tragedy strikes both girls’ families. Cassandra and Sparrow’s friendship is tested as they try to forge a mature, enduring relationship that hopefully will see them through even these darkest of times. Sienna Rose is a Massachusetts native, born in 1959 and residing in Florida since 2002. In 1996, she earned a BA in psychology from UMASS Boston, and in 2001, an M.Ed. in school counseling from Cambridge College, Cambridge, MA. Because she has always been concerned with those who are different and vulnerable to bullying and abuse, Ms. Rose wrote her master’s thesis on the needs of gay/lesbian/bi/trans youth in school. In addition to school counseling, she is licensed to teach English, social science, primary education, and exceptional student education in the state of Florida. In 2011, Ms. Rose started an educational consulting and advocacy service, ESE SOS, in order to assist parents of children with disabilities in school. Bridge Ices Before Road is her first novel. Sparrow In The Wind is the fourth novel I’ve read by S. Rose. The middle two books, while well written and entertaining, are science fiction. I’m just not a big fan of that genre. This most recent novel—along with her debut title—falls into my favorite genre: coming of age. Sparrow In The Wind tells the story of young Cassandra Parsons, a girl living with her parents in 1962 Wisconsin. As the story’s narrative voice, Cassandra shares her life’s experiences with readers, telling us about her move from the “big city” of Racine, to the backwoods of northern Wisconsin. Along the way Cassandra learns of several long-hidden family secrets—some of which have the potential to destroy relationships within her family structure. Upon her move to the sticks, she befriends a half-Ojibwa Indian girl called Sparrow. The stark contrast between these two girls’ worlds is painted onto the pages of the book in vivid living color. Cassandra, brought up in a solid middle class home filled with love and family, has never gone without the necessities of life. Sparrow, living in abject poverty, has never known any but a life of nothingness. Despite these contrasting situations, these two girls forge a bond that holds their lives together even as the world around them spins recklessly out of control. Ms. Rose writes coming of age stories as well as anybody within the genre—and this includes both indie authors as well as the traditionally published. To say I am a fan is an understatement. Her ability to bring characters to life is an admirable skill, to be sure. However, it is her rare gift of moving readers to actually care for her characters that sets her stories apart from other writers working in the coming-of-age genre. 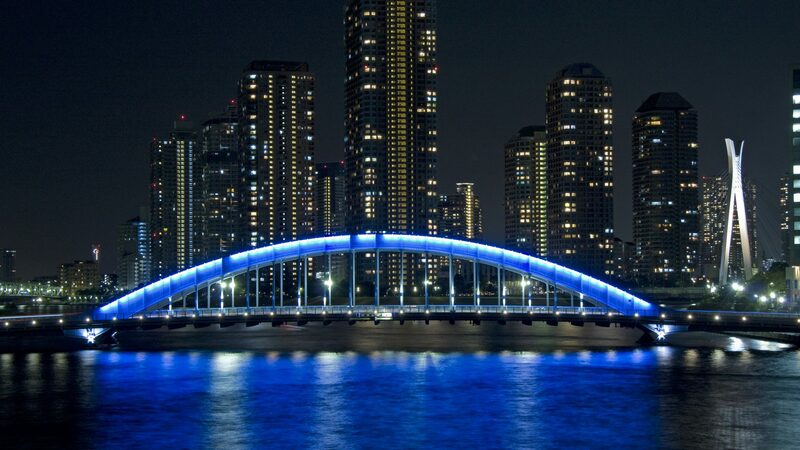 I read her debut novel, Bridge Ices Before Road, several years ago. The story and characters remain with me to this day. Good writers do this with regularity. S. Rose has two books now that occupy the book shelf in my mind. If you haven’t yet discovered this incredible talent, the loss is yours. This entry was posted in authors, Books, Entertainment, Uncategorized and tagged 1960s America, American Indians, Beem Weeks, indie authors, indie publishing, Norwegian Americans, S. Rose, Sienna Rose, Sparrow In The Wind, The Indie Spot, Wisconsin, writers on August 31, 2016 by beemweeks. Greetings from beautiful Michigan! Just letting everybody know that we have winners (three of them) from my recent RRBC Book & Blog Block Party stop here at The Indie Spot! These lucky folks won prizes for simply posting a comment here on the day I had my party! That means you still have the opportunity to win prizes for yourself by visiting the remaining Book & Blog Block Party stops and leaving your comments. But you’d better hurry. Once August is over, so is the party! Each of these winners scored a $10.00 iTunes gift card (though Gwen Plano opted instead for a copy of some book called Jazz Baby for her Kindle). Good luck to everybody else in grabbing freebies from the other amazing blogs along this incredible party tour! 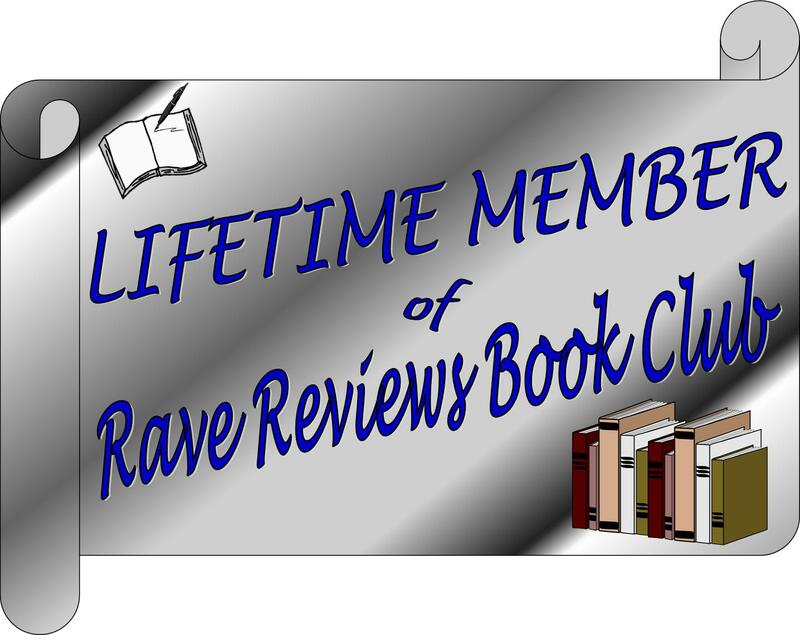 This entry was posted in Blog Tours, social media, Uncategorized and tagged Beem Weeks, Jazz Baby, Rave Reviews Book Club, RRBC, RRBC Book & Blog Block Party, Slivers of Life on August 22, 2016 by beemweeks. 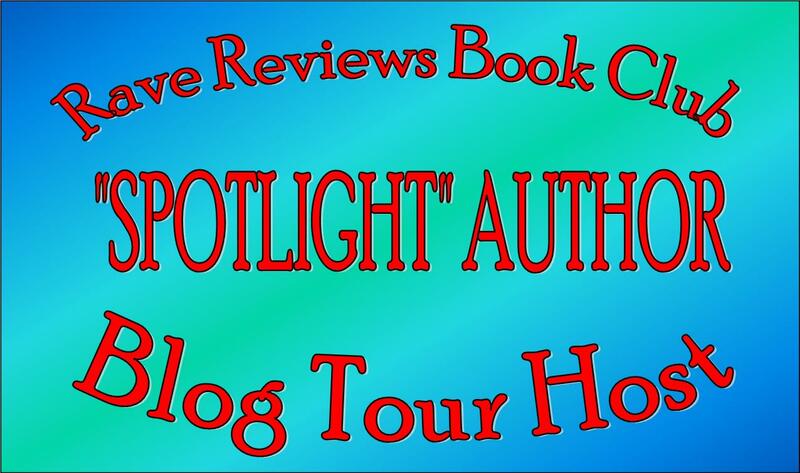 Greetings and welcome to Rave Reviews Book Club’s BACK-TO-SCHOOL BOOK & BLOG BLOCK PARTY at The Indie Spot! Location: Lansing, Michigan, USA. 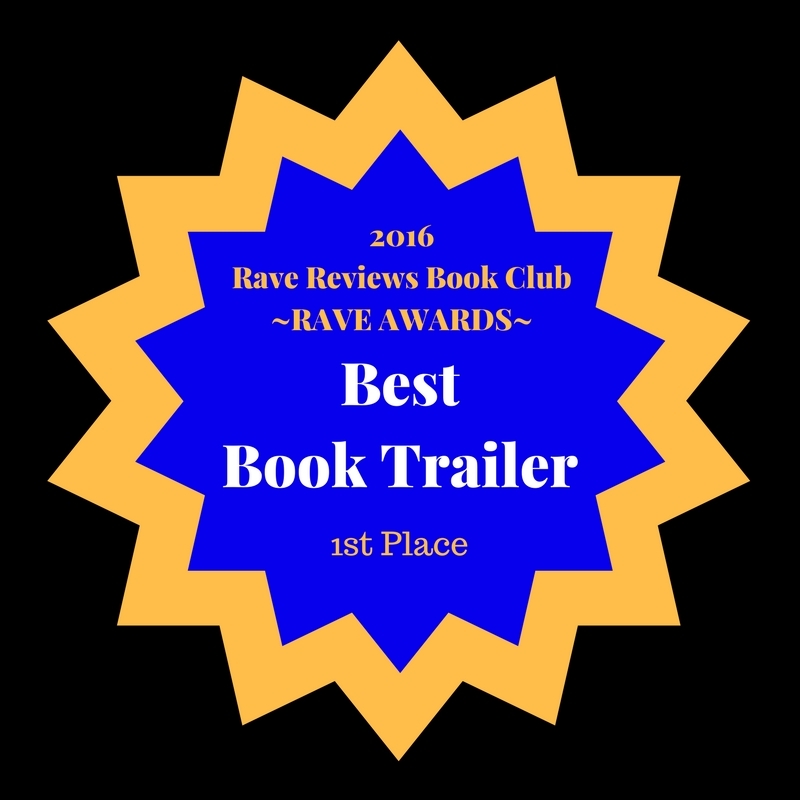 I invite you to check out my books and the book trailers that go with each title. I’ve included an excerpt of Jazz Baby and a short blurb for each book to help you become better acquainted with the stories! 722 Dauphine Street promised little in the way of excitement—from outward appearances. What once had been a Digby’s Department Store now went by the somewhat famous Crescent Club. Revelers of every color, size, and persuasion lined the sidewalk out front, passing around flasks of bootleg hooch, eager for the doors to swing open so nighttime could finally begin. Nobody paid us any mind as Tanyon and I split the crowd on our way down a side alley leading to the rear entrance. Tanyon laid a coded knock against the heavy red door. A fella’s chubby face filled the small peephole. “I have Miss Teegarten with me,” said Tanyon to the man. That door swung wide; entrance was granted. Dozens of round tables lay scattered willy-nilly throughout the cavernous main room. A wide stage rose five feet above the floor. Four colored boys worked up a number I could sing in my sleep. I said, “I’m ready,” drinking in a dream fixin’ to come true. Waitresses lit candles and set ashtrays on each of those tables. Tanyon snatched the one closest to the stage, and ordered a pint of bourbon from a dark-haired girl dressed out like a flapper. “Tell me something,” I began to say. Even if I really didn’t believe him. My eyes tumbled down the list he presented. “I can sing ’em all,” I gladly admitted. “Don’t be scared, Baby,” Tanyon said, handing me a go at that pint. Cool blue dripped onto the stage from lights burning high above. My body stood in its gathering puddle. A boy on drums got us going with a slow shuffle that took up with the bass like a couple of long-time lovers knowing each other’s next move before it’s even been considered. Sullum Cass kissed his shiny saxophone with the breath of something painful and delicious, tossing delicate notes into the smoky air. When the boy on piano sprinkled all the right keys into the mixture, I eased my body against that skinny silver microphone stand, closed my eyes to the fractured night, and told all about that man done me wrong. Everybody on that parquet dance floor caught on real quick. It’s me they stared at. And wasn’t a single one gave a tinker’s damn about my age or my station in life. Faces opened in welcoming smiles as wicked rhythms spun us all toward a whole new place—a place tucked up high as heaven. Bodies shimmied and twirled at my feet. One song blurred into another with nary enough time to breathe. If I’d dropped dead then and there on that Big Easy stage, I’d have no real complaints. I reckon I’d tell the first angel I set eyes on I’d lived a full life. I lived out my dream. 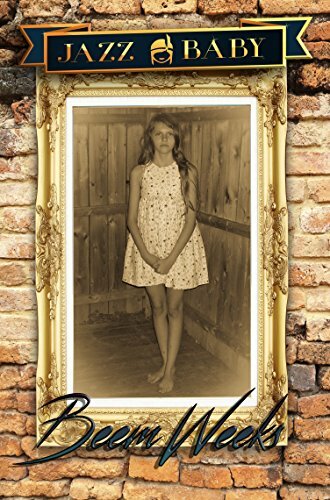 While all of Mississippi bakes in the scorching summer of 1925, sudden orphanhood wraps its icy embrace around pretty Emily Ann “Baby” Teegarten, a young teen. Taken in by an aunt bent on ridding herself of this unexpected burden, Baby Teegarten plots her escape using the only means at her disposal: a voice that brings church ladies to righteous tears, and makes both angels and devils take notice. “I’m going to New York City to sing jazz,” she brags to anybody who’ll listen. But the Big Apple—well, it’s an awful long way from that dry patch of earth she’d always called home. Jazz Baby just wants to sing—not fight to stay alive. Once again, thank you for stopping by. Don’t forget to share your thoughts and comments below. Good luck on winning my giveaways! I’ll see you at the next stop of this awesome BOOK & BLOG BLOCK PARTY! This entry was posted in authors, Blog Tours, Book Trailers, Books, Entertainment, Writing and tagged 1920s, Beem Weeks, bootleggers, Fresh Ink Group, gangsters, indie author, indie authors, indie books, indie publishing, jazz, Jazz Baby, New Orleans, prohibition, Rave Reviews Book Club, RRBC, short stories, Slivers of Life, The Indie Spot, The Roaring Twenties, writing on August 16, 2016 by beemweeks.